Seal/Expunge Records - BJE Law, P.A. The primary difference between sealing criminal records and expungement of criminal records is accessibility. After an individual’s criminal record is sealed, the charge will no longer be a public record. The public will not have access to it when your criminal history is checked, but some government agencies will have access to your complete criminal record. When a criminal charge is expunged, the record of it is physically destroyed. One copy is retained by the Florida Department of Law Enforcement but is not accessible absent a court order. Neither the public nor government agencies that had access to a sealed record will be able to view the offense that was expunged. The government entities, which would have had access to a sealed record, will only see a statement indicating that the individual has had criminal information expunged from the record. The law that regulates the qualifications for getting your criminal record sealed or expunged is determined at the time that you petition the court. This means that the offense you were arrested for 10 years ago, that may have been eligible to be sealed or expunged at the time of your arrest, may be prohibited from this relief next year due to a change in the law. The legislature in Florida has continually limited who and what can be sealed or expunged by amending the current statute. The expungement statute has been amended at least 7 times since 1992 and the sealing statute has been amended 6 times in the same period of time. By waiting, you may be increasing the risk that your criminal record will become ineligible to seal or expunge. The laws and rules, which govern expunction or sealing of criminal history record(s) include: Florida Statutes Sections 943.0585 and 943.059. Determining whether a criminal charge can be sealed or expunged can be a complex and lengthy process, which is dependent on a number of factors. BJE Law, P.A. can review your case with you to determine your eligibility and assist you with the many steps and complicated filing procedure. If you have been arrested for a crime, your criminal record can continue to negatively impact your life long after the offense occurred. Employment and educational opportunities, among other things, may be limited based upon what is visible on your criminal record. 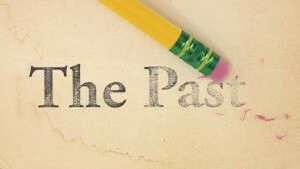 Don’t let your past mistakes follow you, call and/or text BJE Law P.A at (813) 992-HURT to schedule a FREE and CONFIDENTIAL CONSULTATION.